Italian journalists took their Olivettis on to the rooftops of St Peters Colonnade in the Vatican City in late October 1958 as they waited for white smoke to appear to indicate the beginning of the papal election. Dmitri Kessel took these photographs for Time-Life. 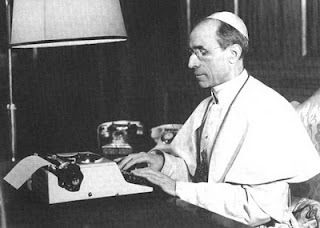 Pope Pius XII had died on October 9, 1958, of acute heart failure, brought on by a sudden myocardial infarction, in Castel Gandolfo, the Papal summer residence. 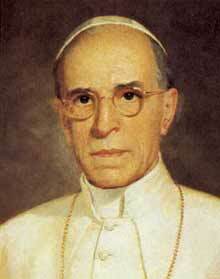 He had reigned as Pope from March 2, 1939. 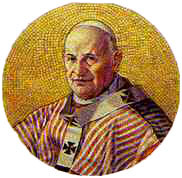 After four days, Pope John XXIII was elected as the 261st Pope on October 28. 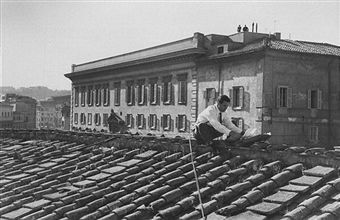 The Papal conclave of 1958 commenced on October 25 and ended after 11 ballots. 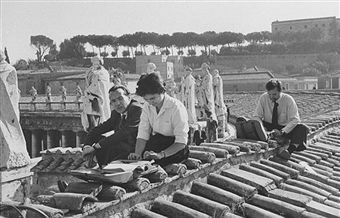 The conclave was held at the Sistine Chapel in the Vatican. 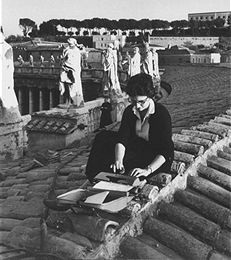 That Studio is a fairly modest typewriter for a pope. 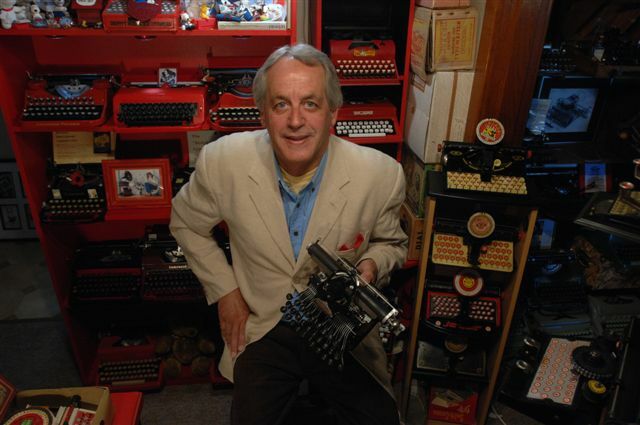 I remember seeing a special gilded typewriter for an earlier pope, but I can't recall the details. Hey Richard that's not the same kind of Catholic Guilt I grew up with! I guess the difference is "U"